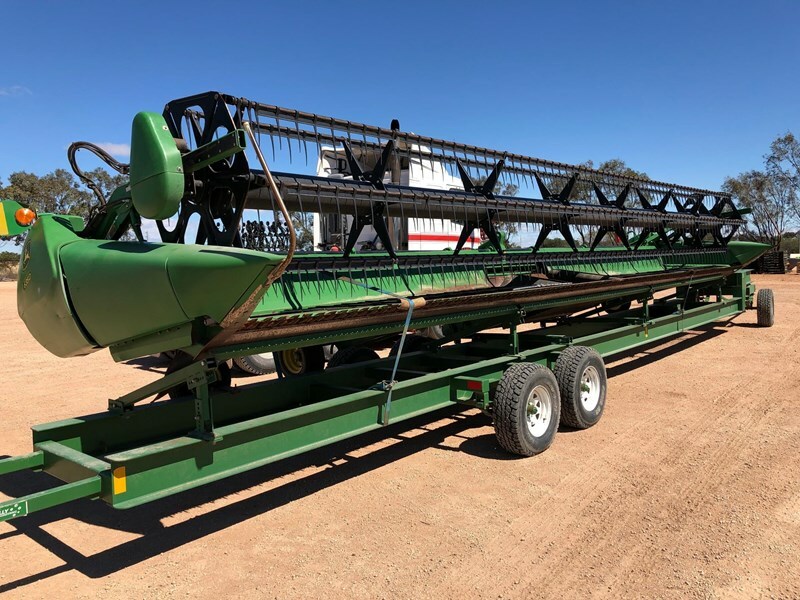 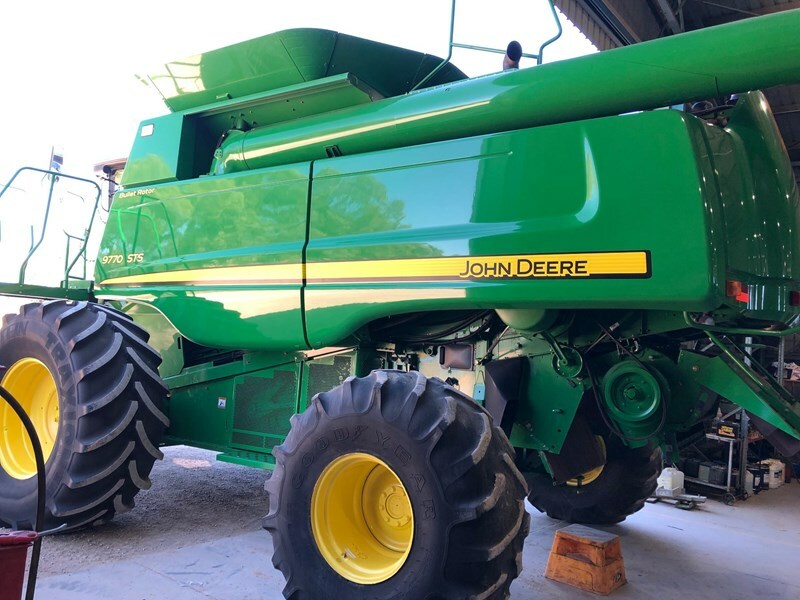 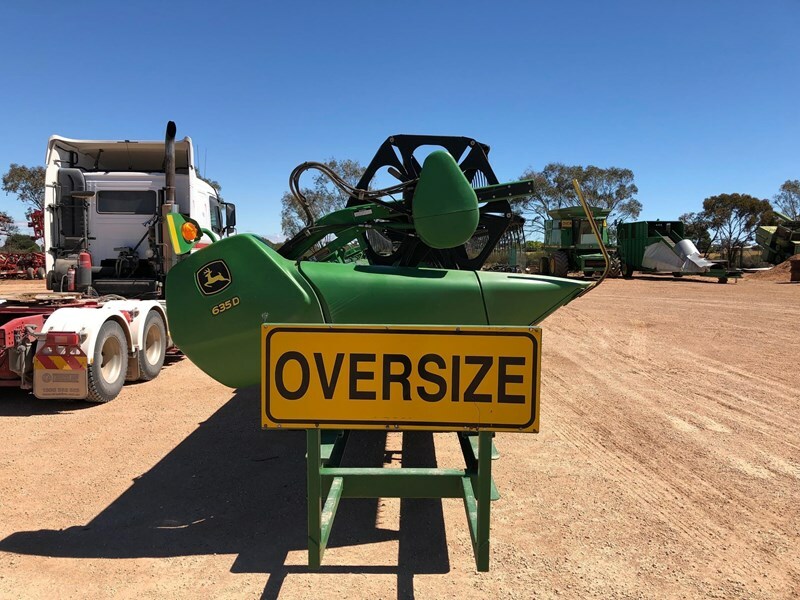 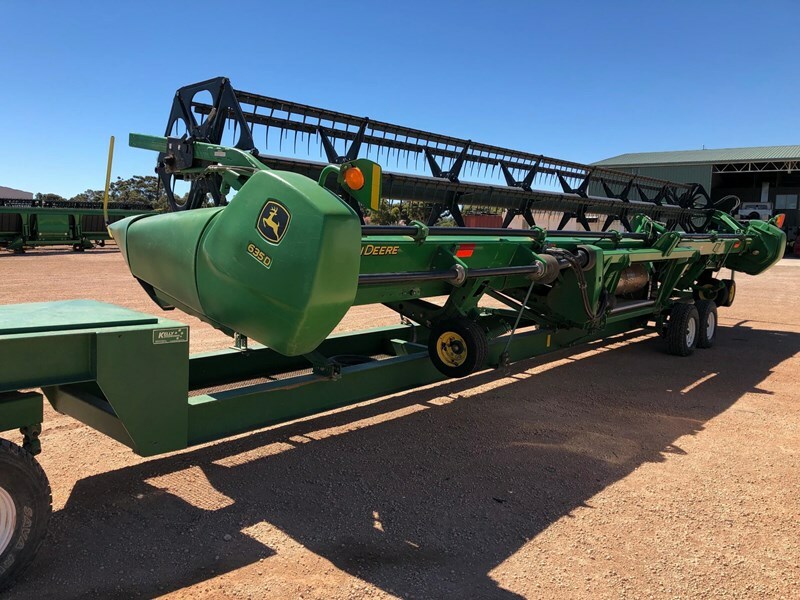 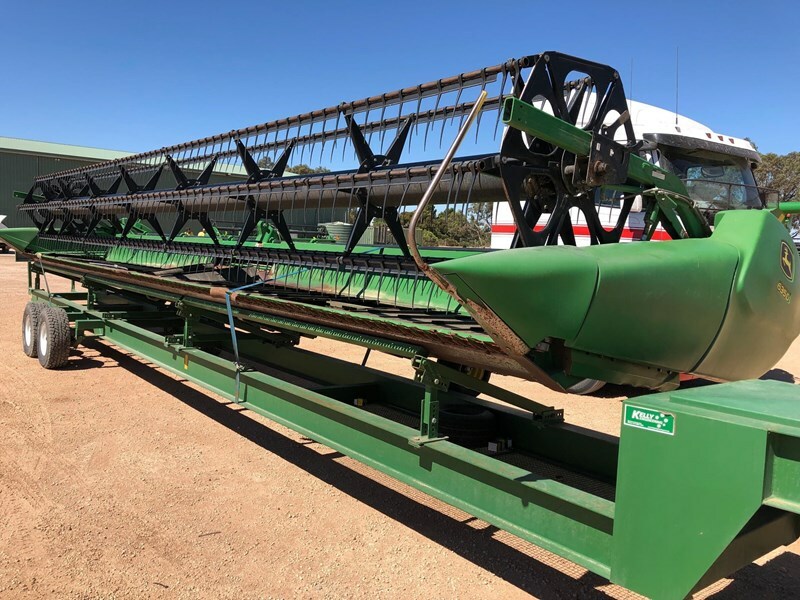 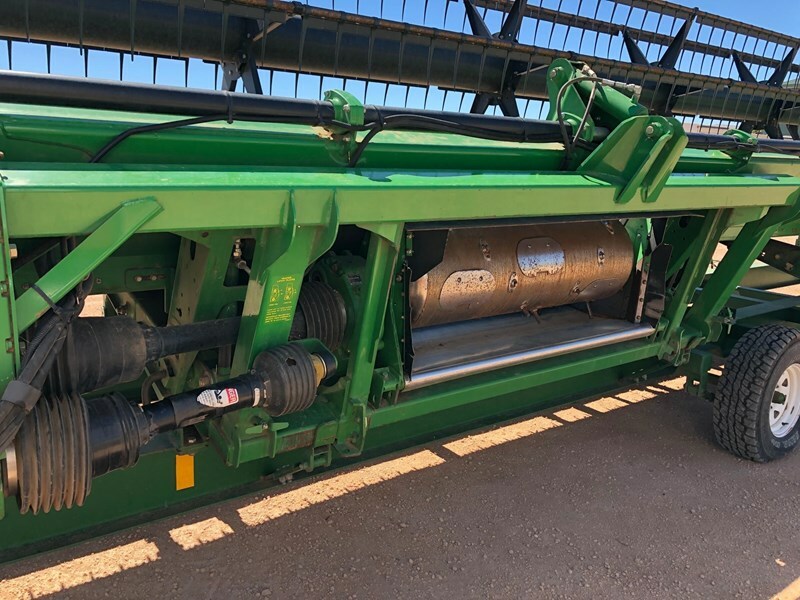 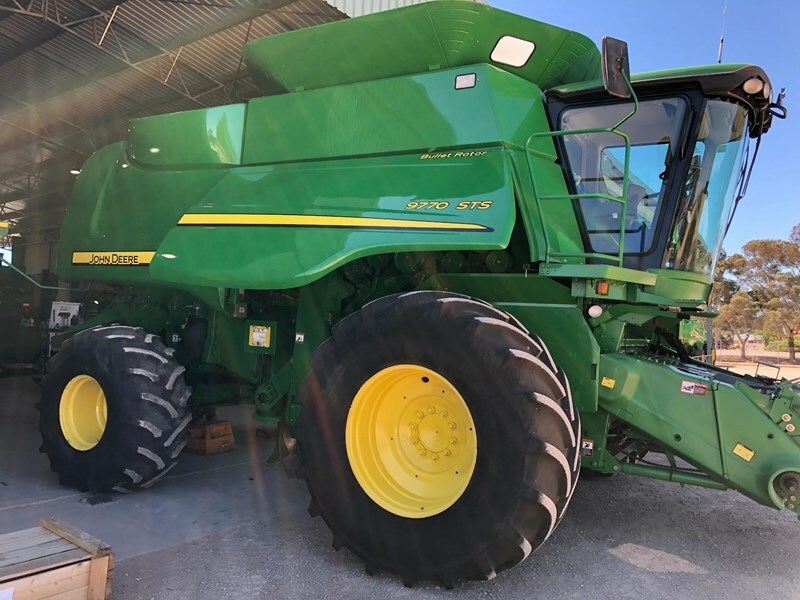 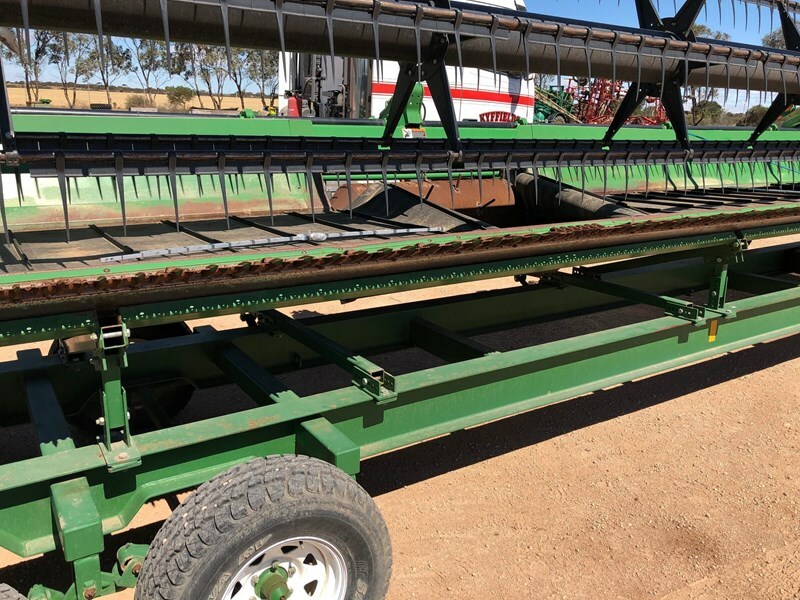 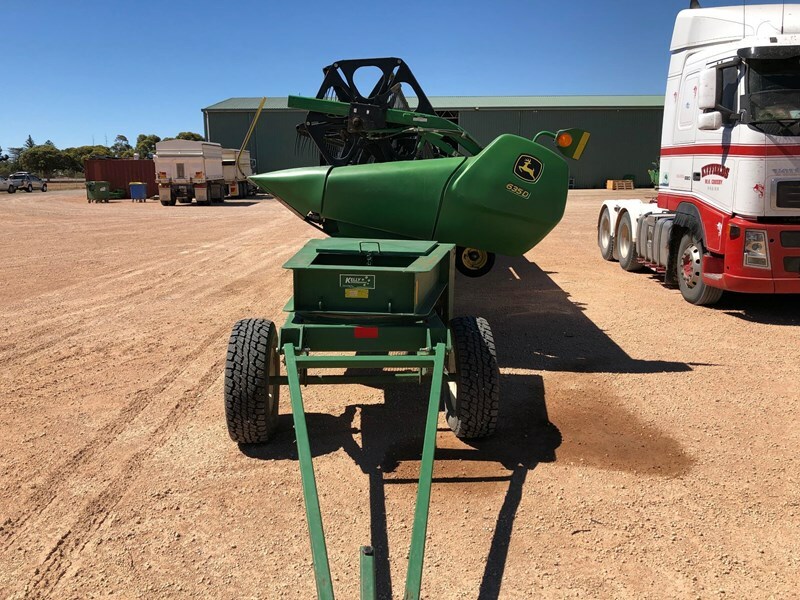 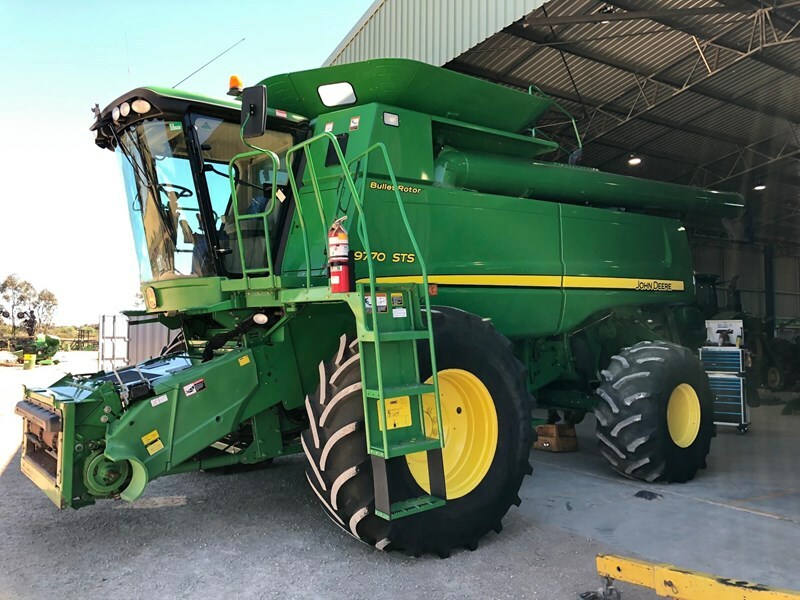 Used John Deere 9770STS Bullet Rotor combine + John Deere 635 platform and Kelly trailer. 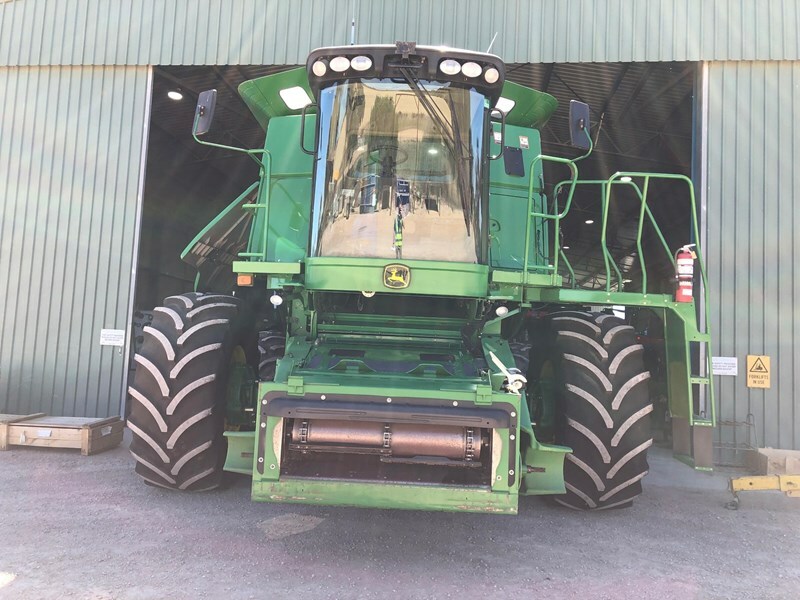 Combine harvester buil in 2009, has completed 2215 rotor hours, totalling 2889 engine hours. 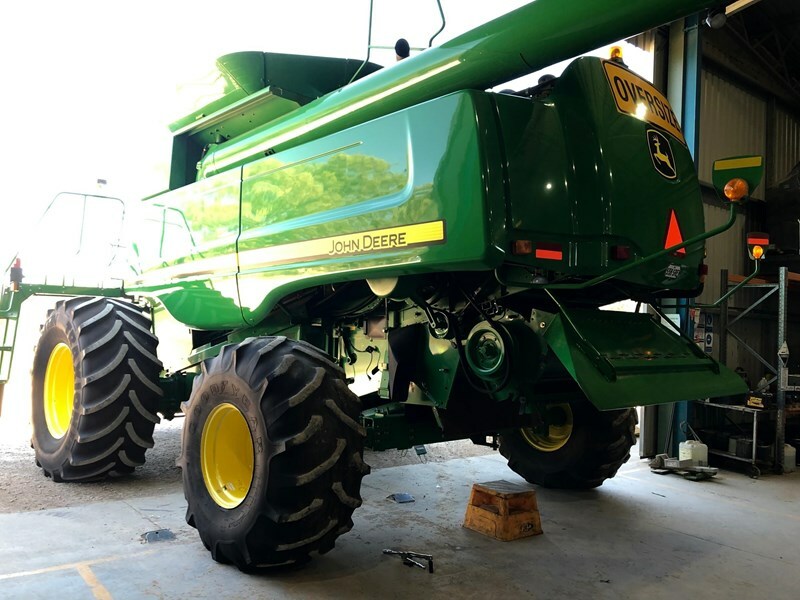 The harvester sits on 800/70R38 drive tyres, and 28L-26 steer tyres. 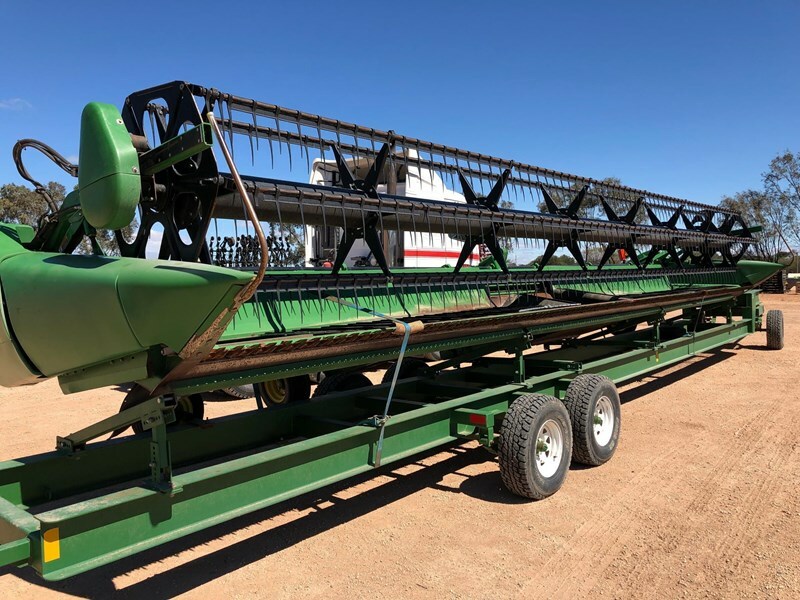 The combine also includes a fine cut chopper and a 6.9m unloading auger. 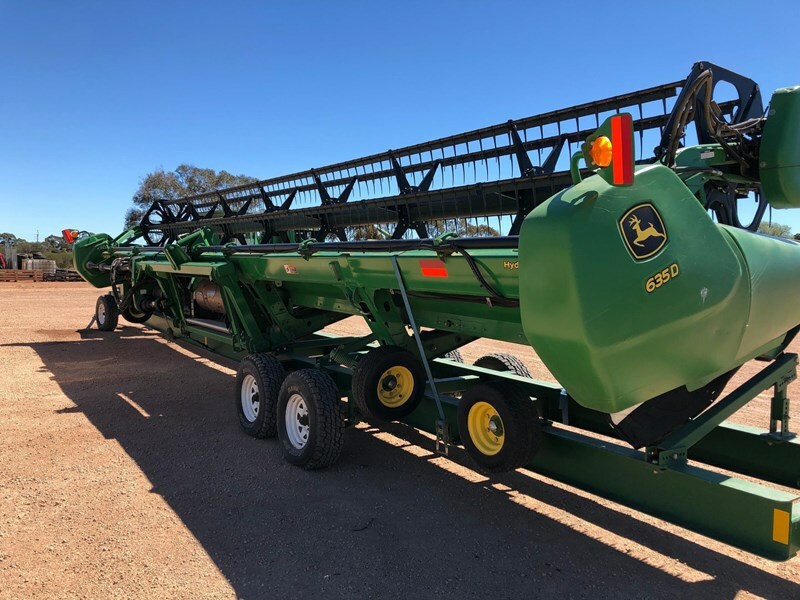 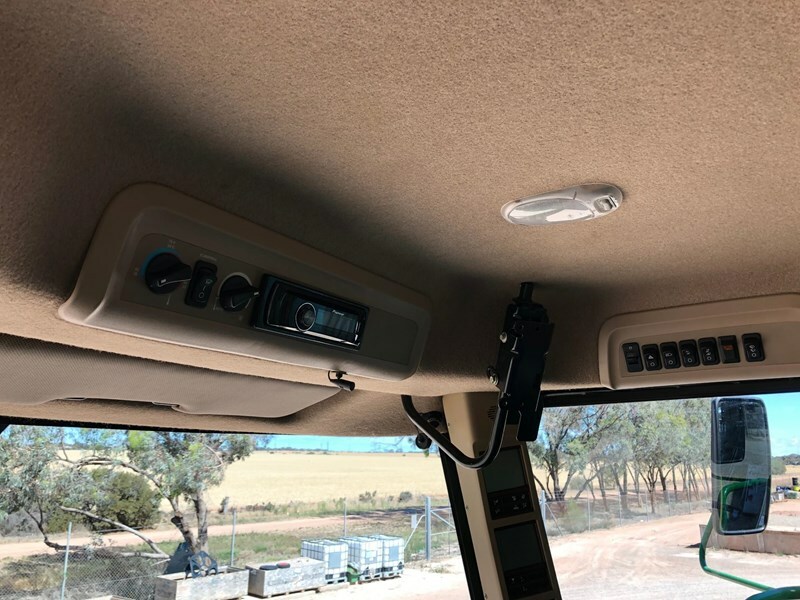 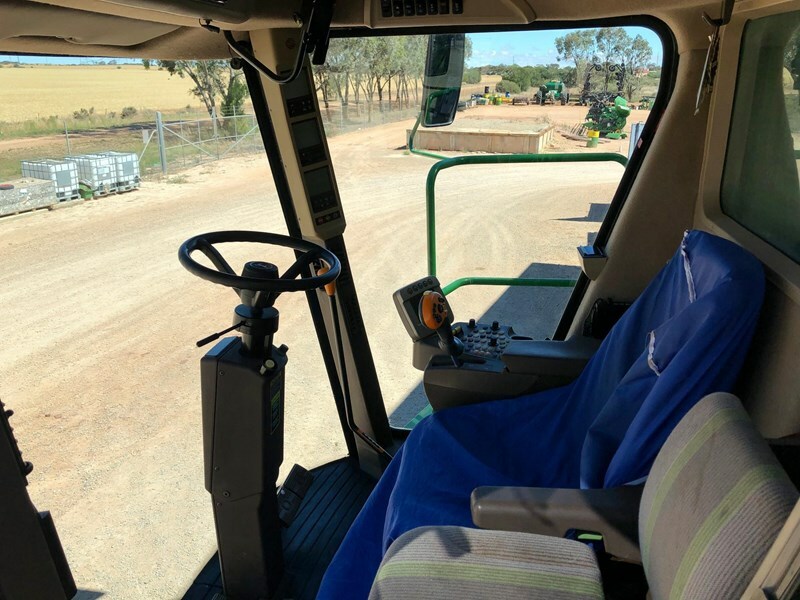 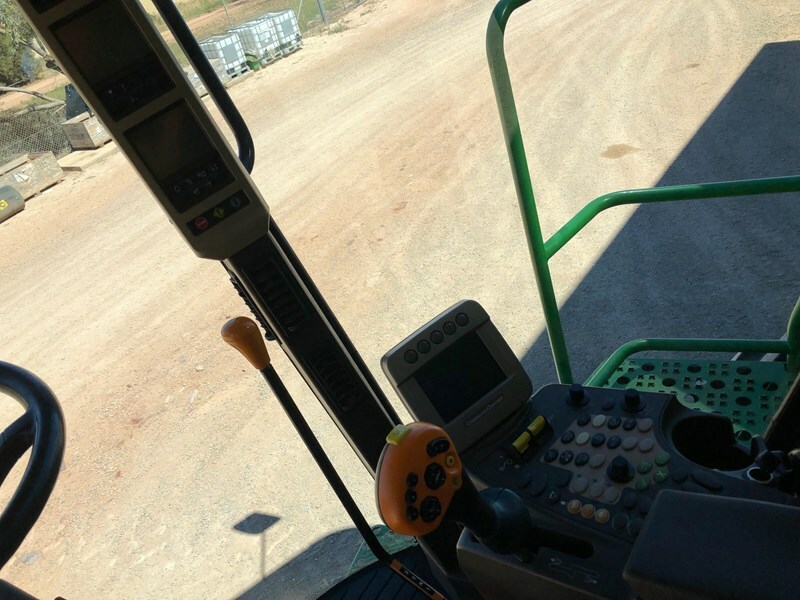 For more information about the harvester or the platform, contact the sales team at the Kadina branch on 08 8828 0200.